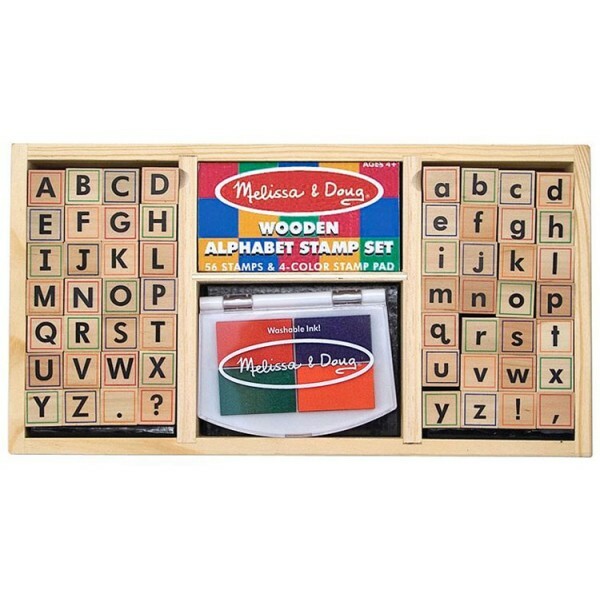 Our alphabet stamp set contains 56 block style stamps in upper and lowercase, and punctuation marks. Children can imprint their names on art work, books, make stationary, or write a word or sentence. 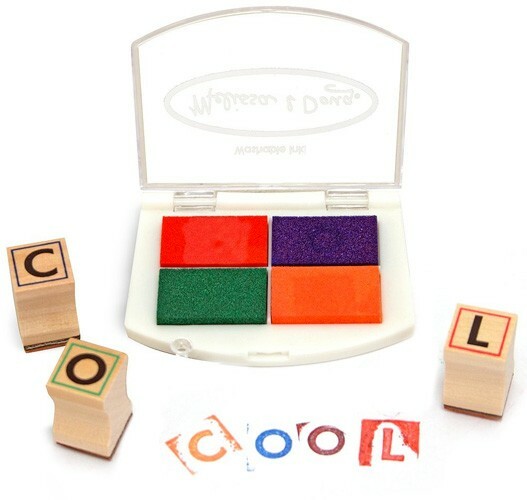 Includes a 4 color stamp pad with washable, non-toxic ink and a wooden storage container too!